In 2018 BlueConic introduced a new metric called recognition ratio, which is the percentage of your engaged audience that is known by one or more unique identifiers. Calculate your ratio to provide benchmarks and trends over time as your first-party data grows in BlueConic. BlueConic offers tools to help improve the strength of your first-party data by recognizing visitors on your site. You can identify known visitors using numerous sources including URL parameters, third-party cookies, globally unique identifiers (GUIDs), Google Tag Manager, and BlueConic connections that exchange data with your email service provider (ESP) or through the data layer. What unique identifiers are already available from your connections to other systems? What contact ID will you expose in the parameter of an email click-through? Is this possible to implement with your current ESP? What unique identifiers are stored as a cookie and how is this data captured? Is there any identifying information stored in the data layer? If you have multiple brands, or channels, which unique identifiers are available that can be reused for your other brands, and which unique identifiers apply only to one brand? Does the unique identifier have the same name or a different name? After you’ve determined what your unique identifiers are across channels and connections, the next step is to set up your corresponding profile properties as unique identifiers and be sure that they are added to your profile merging rules in BlueConic. For any unique identifier used in the parameter of an email click through, you will want to ensure that the ‘IP Check’ rule is engaged for this value in the Profile merging settings page (select Settings > Merging from the BlueConic navigation bar). Select this option for improved privacy and security. If this option is selected, the visitor will switch to a new profile when a new value for this property is set. This will prevent potential profile hijacking when links are forwarded, for instance. Once you have determined the specific ways you can find unique identifiers, the next step is to gather known users from your connections, and then add listeners to monitor these unique identifiers as customers visit the site. Depending on the answers to the questions above, you may need to update an existing listener or create a new listener. If you do not have a customer ID available from another system or connection, chat with your BlueConic Customer Success Manager about the possibility of exposing the BlueConic ID. Behavioral listeners are used to store cookie values and to grab custom parameters, such as a unique identifier loaded from an email click-through. Additional rule-based form listeners are used in BlueConic to collect data from checkout forms and in cart or funnel abandonment use cases. BlueConic connections have at least one unique identifier (and potentially more than one) that is associated with each import goal in the connection. External Trackers, specifically pixels, can be a simple solution to implement, which will allow you to tell which customers have opened emails. These are not a substitute for a UUID loaded in the email parameter, however. Profile merging is the process of combining the profile property values of two individual profiles into a single profile. Both profiles need to share at least one identifier value (e.g. email address or customer ID) in order for to a profile merge to take place. Now that you’re identifying known users as they browse your site or visit your channels, it’s time to build audience segments that reflect known vs. unknown visitors! In BlueConic, you can create simple yes or no segments for customers for whom you either have a certain piece of data, or you do not have this data. For example, you can use this strategy to target customers for whom you do not yet have an email address. Consider building a segment of customers or visitors who have been active recently, with high behavioral scores for momentum and intensity, but who are still anonymous, meaning you don't yet have an email address or another unique identifier you can use for retargeting. 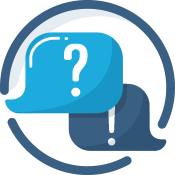 Using dialogues in BlueConic, you can offer a special promotion to obtain their email address or use other progressive profiling efforts to improve your segmentation. Optimize your efforts to continue driving onsite identification. The BlueConic ID can also be used to create a customized link holding the BlueConic ID to an external system. The link can contain placeholders, which are populated during page loading by values from the profile. For example, you can send users to an external survey through a BlueConic dialogue. Then, you can upload the results of the survey back in BlueConic, using the ID passed to the survey. Please ask your BlueConic Customer Success Representative for the “personalized URL” plugin. BlueConic makes it easy to visualize the key aspects of your customer segments. You can create dashboards with insights showing profiles origins and the number of identifiable profiles. For example, you can zero in on a selected segment of profiles and use the Profile Identifiers insight to show which unique identifiers are known, for example, the login name, email address, customer ID, or phone number. Using the Profile Identifiers insight, you can see the percentage of profiles in the selected segment that have an email address, for example. The Profile Origin Insight complements this overview. When profiles are being created or imported, BlueConic stores details about customer’s origins in three Origin of profile properties. Use this insight to view customer segments by origin. This would let you examine and learn more about the segment of users who have a value for the "email address" profile property. The Profile Filling Level insight also demonstrates the number of profiles that have a value versus those that don't for a selected profile property, such as the "Is customer" profile property. Using the Segmentation Percentage KPI insight, you can compare a segment containing all identified users against a segment that includes all customers and visitors who have visited your channels. Another strategy to calculate your recognition ratio is to use the statistics in the General Settings tab in BlueConic. To calculate your recognition ratio, divide the number of engaged profiles by the number of identified profiles. As your proximity to the customer grows by building your first-party data in BlueConic, the benefit of understanding your customer audiences is converging with your opportunity to sell. The value for customers will coincide with your conversion goals if you can strategically build a cohesive onsite experience for these users. As your recognition ratio grows, consider creating personas for your customers. Get comfortable with moving the needle on recognition ratio as part of a larger, sustained and choreographed effort across all of your coordinated marketing efforts. If you're starting at 18% recognition ratio in BlueConic, you'll be excited to watch this number grow over time with these suggestions.